Rainbow warrior is Motor Assisted Schooner and she was built 1957 by Cochrane & Sons, Selby, UK. Greenpeace converted the Rainbow Warrior into a motor/sailing vessel by constructing three masts on the hull of a North Sea fishing trawler formerly called the Grampian Fame. It is an ocean-going vessel equipped with the latest in electronic navigation, sailing and communications equipment. She's on 555 Gross tons and she is 55,2 meters long and 8,54 meters wide with a draft of 4,6 meter. She have two Diesel type Deutz M.W.M. 2 x 6 Cylinder, 2 x 500kW consuming 3m³/ day and she make 12 knots She has an airdraft of 41 meter and she makes 5 - 7 knots with sail. She have 650m² sail. 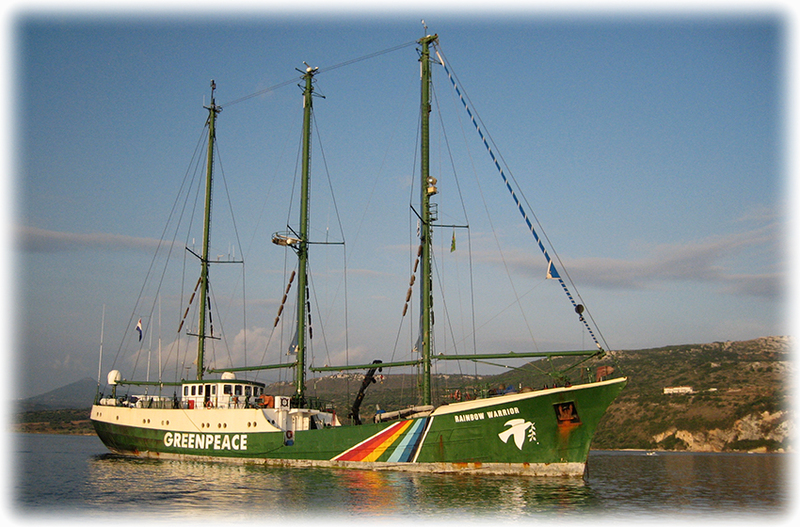 The Rainbow Warrior is perhaps the most famous Greenpeace ship. 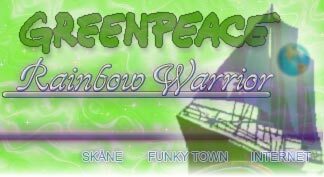 The current Rainbow Warrior was launched on 10 July 1989. The original vessel was sunk in 1985 by agents of the French government in an attempt to foil protests of their nuclear weapons testing in the Pacific. The plan backfired, sparking worldwide outrage, and the rebuilt ship proved that "you can't sink a rainbow" when it returned to battle successfully against the testing programme. Nuclear testing ended at Moruroa in 1996. The ship's name was inspired by a North American Indian prophecy which foretells a time when human greed will make the Earth sick, and a mythical band of warriors will descend from a rainbow to save it. Take a virtual tour of Rainbow Warrior here. 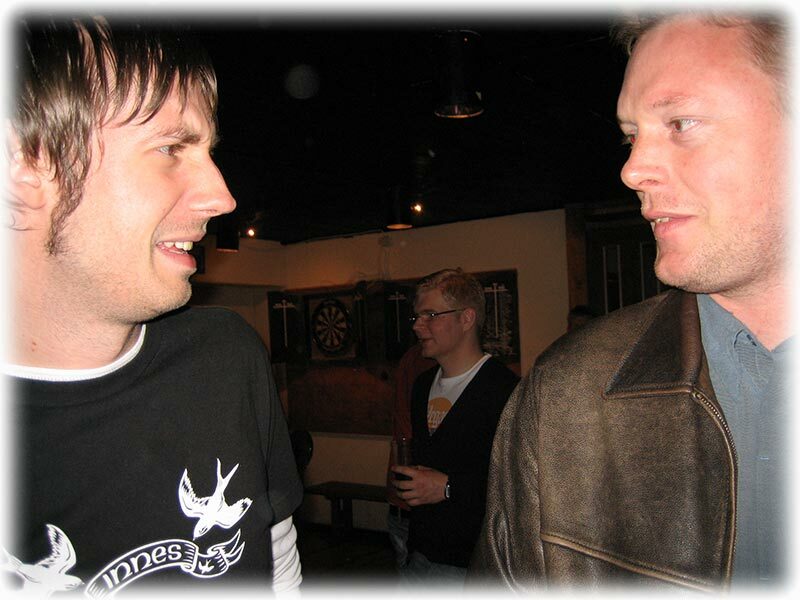 Friday 28th of April 2006 and Well Well as John's good 'ol English Teacher use to say, but they called from Greenpeace yesterday (27th of April) just when I had been talking with Laurin Maritime on the school. Laurin Maritime is the company I want to work for, but every time they call me I have been busy. Last time they called I had promised to sign on Astoria, well (again), now we know that it should have been better to break that promise. But we talked about me being busy every time they called me. I sent them a letter 2 months before signing of Pegasus just to prevent this. I agreed with the Seagoing Personnel Manager that I should call her tomorrow and I left for the IMDG class, last day on the course and it was time for the exam. Read all about the IMDG course by clicking the link. Just after leaving for school they called from Greenpeace and they needed me to join Rainbow Warrior next week. Hmm, while waiting for the confirmation call from Greenpeace the Seagoing Personnel Manager called from Laurin Maritime. 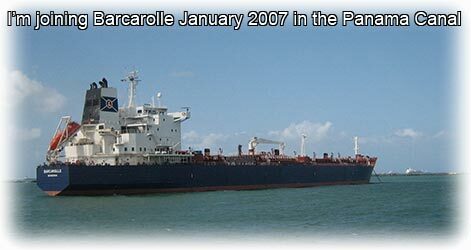 - We need a Chief Officer on M/T Barcarolle, a 45 000DWT tanker. DARN! What to say? It was embarrassing to say no again, well (the English Teacher must be tearing his hair by now), I had to tell her that I just got a job at Greenpeace. 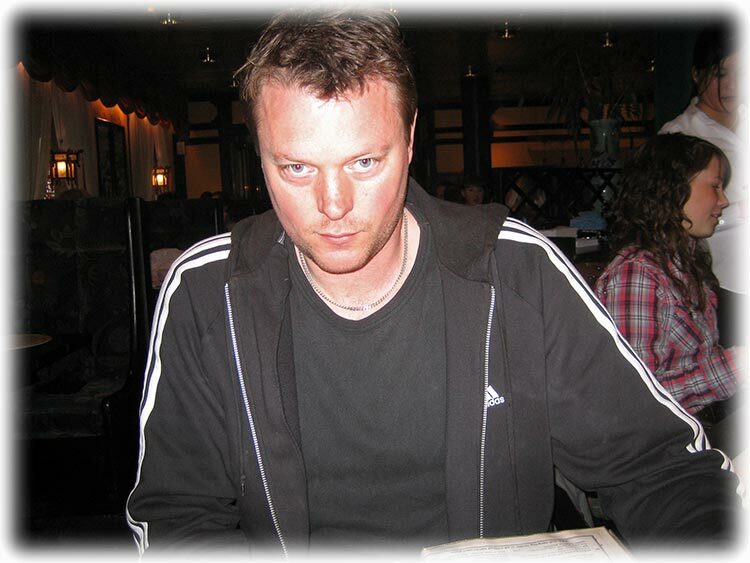 But she understood and we agreed on that I should send her an e-mail 2 months before signing off Rainbow Warrior. - We need a Chief Officer in August as well, she said. - Well, book me for August, I said. 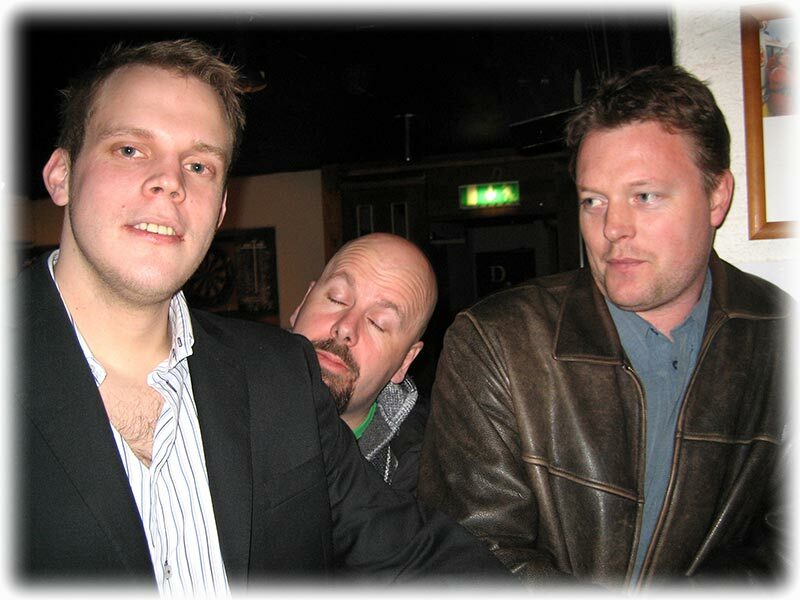 While sitting home updating my web page a few of “50-skyltens” class mates called. - No, I don't have time, I said knowing how I would feel tomorrow. A hangover force 9,8 is nothing to laugh about when you're pushing 23. But what the heck! We had had an exam today and I remember when I was a student and drinking beer was compulsory after an exam. Well, (we're killing the English teacher) if I remember it right it was almost mandatory to drink beer every day. Thinking about my student days made me sentimental and there was tears rolling down my cheeks when I got dressed. - I don't give a toss about the hangover, I thought for my self. I knocked on their door 10 minutes later and we had a beer before calling a taxi for transportation to Sjösjukan, Kalmar's #1 student pub. - WHAT THE BIP IS ALADDIN DOING AT A STUDENT PUB?! - Well, I'm a student. - How can you be a student when you're 23 years old? Hmm, have we forgotten my IMDG code already. Well “pop by ” my page about the IMDG course to refresh your memory, well, this is good stuff so you can “pop by ” any tedious evening if you think you can handle the excitement. 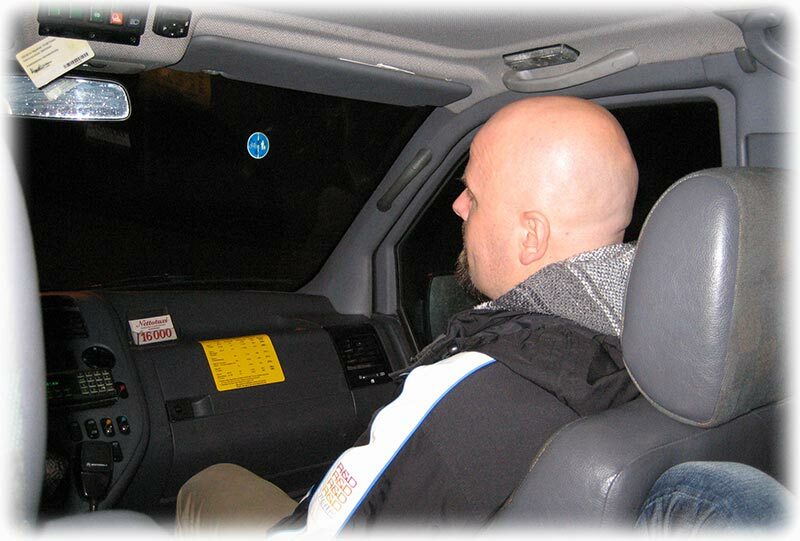 We meet the Motorman from Astoria at Sjösjukan, he's studying to become an Engineer. We spent last weekend at his place drinking beer and now I had the chance to pay him back. It was soon closing time and there was only two places to choose from O'Leary's and Ernesto's Disco. I think we're a little to old for the disco and then we were down to O'Leary's to choose from. A simple choice and we entered the place and ordered beer. Saturday 29th of April 2006 and Saturday morning and I felt like not very good, but it was only 0700. I drank some water and I felt asleep again and when I woke up at 1000 and I felt better. My last day in Sweden before leaving for Bangkok/ Singapore was gloomy and grey one. It was raining and I was glad that I'm leaving tomorrow. 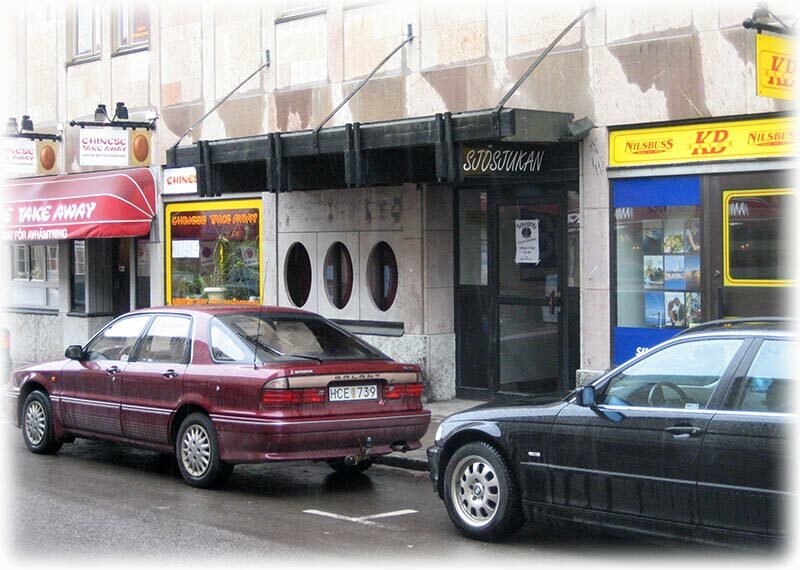 I was going to meet a friend from yesterday for some China food in Kalmar “CITY” and I passed Sjösjukan, Kalmar's #1 student pub (ONLY STUDENT PUB) and I took the picture above. Well, I'm going to sign on in Singapore beginning of May and I will stay onboard for 3 months. The Turntable Rocker is out of here! 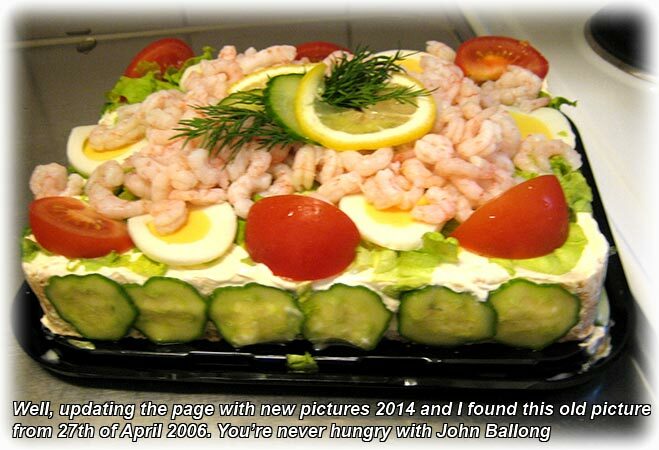 But first a day or two in Bangkok and I was very happy that I could leave Kalmar behind. Imagine having to stay in kalmar, and a force 9,8 hangover on top of that! That would have made me wanna jump in front of a bus. 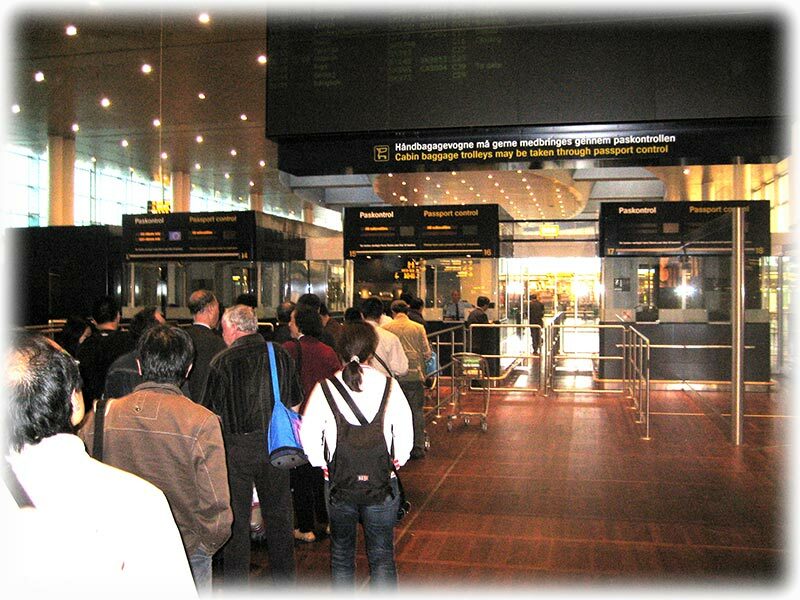 Sunday 30th of April 2006 and I left Kalmar with the train at 1508, ETA Copenhagen airport 1843. 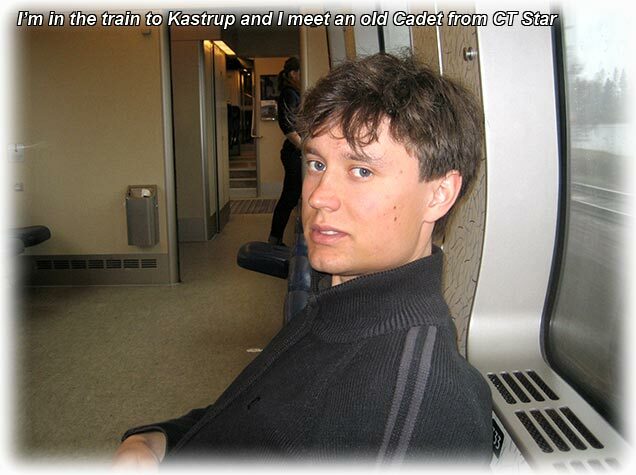 On the train I meet the Cadet from CT Star, he was on the way to sign on Navigo in Brofjorden. He told me that they are trying out to run the ship without the old paper charts. - We only use ECDIS, he said. He also told me that they are going to get an internet connection so they are connected to internet all the time. It's nice with wire less internet on the ship and you can sit with your laptop in you cabin. 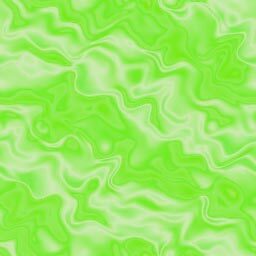 A FTP program and you can upload new pictures to your web page every day. Well, this is Donsötank, or as I use to say: This is Donsötank class. Hmm, Veritas Tanker class is something totally different. I called Alecta and Veritas had not paid my occupational pension, and I signed off 9 months ago. well, I will attend to the problem when I'm back in Sweden. 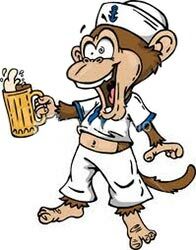 But Veritas Tanker class means that you can be as drunk as you want, there is always someone sober that don't get paid, that can lift you ashore. It was nice to have someone to talk with, the time turned quick. 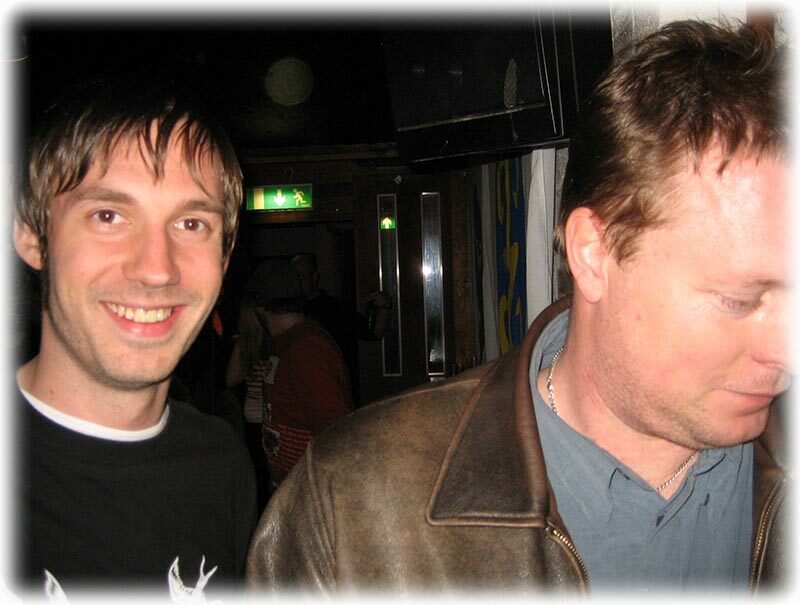 He left me in Lund and I was alone again. We arrived to Copenhagen on time and I was soon at the check in. It took me some time to check in, they complained about my “carry on” luggage. - You're only allowed to carry on 8 kg! Yeah! This was new to me so I had to put everything in my “portable home”. When I was down to 12 kg I was allowed to check in. And I had to redo my packing several times before they were satisfied. Then we had to call Greenpeace in Amsterdam as they refused to let me board the flight with a one way ticket to Bangkok. So I was very happy when I had checked in for my flight, I had never experienced so much trouble checking-in before. Copenhagen Airport, well, it was the same story as last time. One million passengers and only one Immigration Officer. I was glad that I wasn't in a hurry. Departure time 2125 and at 2105 when I was jumping up and down impatiently in the check in lounge when there was an announcement. - We are delayed with 30 minutes! This is SAS and I was not surprised. I think I will do as we're getting used to by now. Divide the page after the months, no sense in changing a winning concept. And HEY HEY!! Don't forget to join Greenpeace before clicking on May! Just a funny remark before we leave: My 'ol spelling detector has already made 2 remarks on my spelling, and this was even before I had left for the ship. - Hmm, do they have the same year in France as the rest of the world? Well, I signed of Rainbow Warrior on the 31st of July 2006 and I signed on M/T Bro Jupiter after a few days at home.